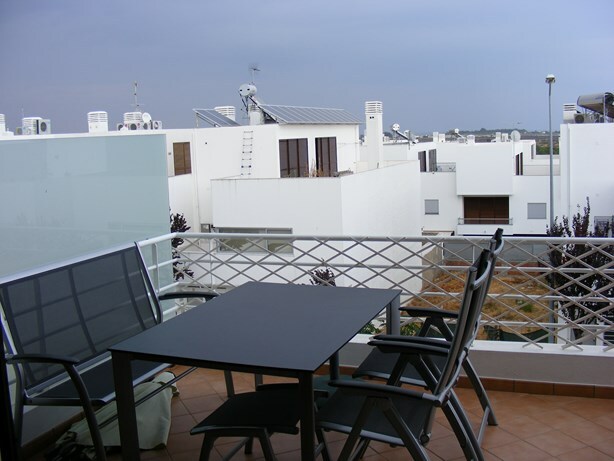 Historical Center of Tavira - Stylish one bedroom Apartment to rent with Bicycles, patio, garage and FREE WIFI on an excellent and quiet location. 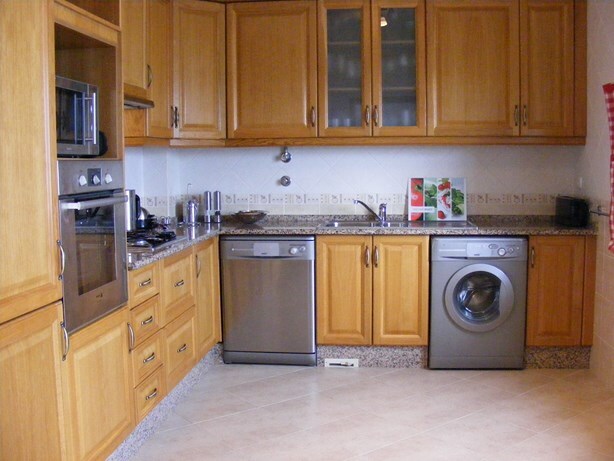 Top floor two bedroom Apartment with Free WIFI, large sun terraces and sea view on central location. Construction: Covered area approx. 90m2, excluding 42m2 terraces. Built in 2006. For entertaining and relaxing it is an ideal place to stay as Tavira is situated on the Ria Formosa which produces sea salt and has a myriad of wild life including flamingos and pretty butterflies. The water ways are busy with yachts, fishing boats and ferries particularly in the summer when visitors hop across the water to the Island of Tavira. The Island has a good choice of restaurants in an otherwise un-spoilt area of outstanding natural beauty. This top floor 'home away from home' two bedroom / two bathroom apartment is accessible by elevator and offers all the comfort of modern life with the old world charm of the historical Tavira on your doorstep with its many restaurants, cultural events and the famous beach at Ilha de Tavira. The historical center of tavira is only a short walk away from the property where you'll find a great variety of restaurants and cafe's. 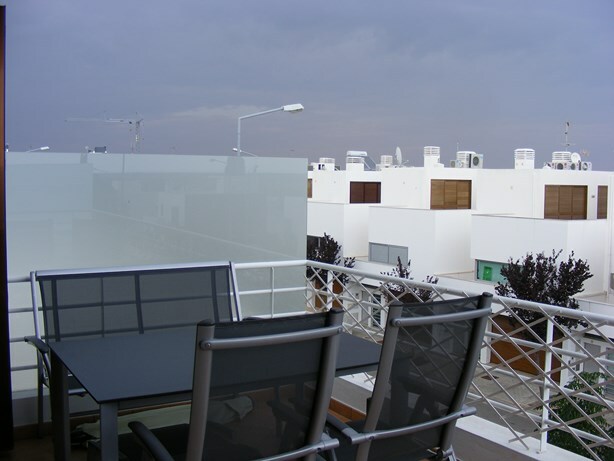 The apartment is also an ideal place to use as a base to explore the Algarve, it's many beautiful beaches, water sports and the golf courses near by. Benamor golf is the nearest 18 hole golf course approx. 3,5 kilometer down the road. The golf courses of Quinta da Ria and Quinta de Cima are less than a 10 minutes drive away. However, a car is not essential as all amenities are nearby. It is very easy to rent bicycles in Tavira, they can be delivered to the property when pre-booked. 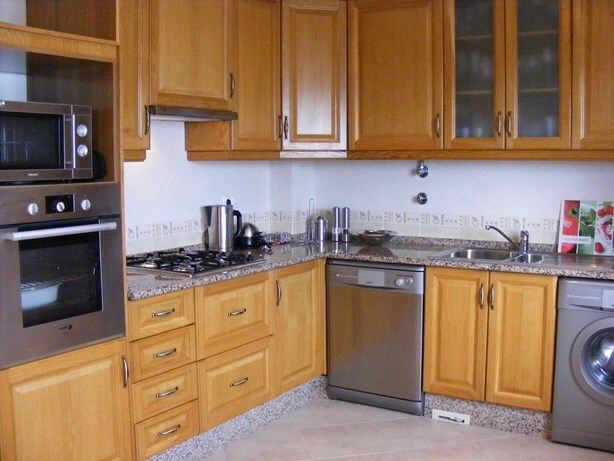 The property is located in the center of Tavira, near by the health center with all amenities within easy walking distance. This well presented light and bright modern apartment is located on the top floor (2nd floor) and comprises an entrance hall leading to a good size, south facing living room with dining area, a modern fully equipped kitchen, two good size double bedrooms (one with double bed / one with two single beds) with built in wardrobes. 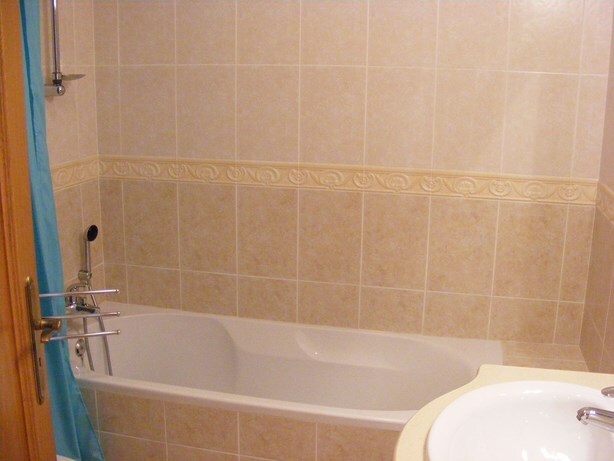 There are two bathrooms, one with bath/shower and one en-suite with shower). This apartment has air conditioning in all rooms for cooling in summer and heating in winter. In addition, this pleasant 'home a way from home' has two large sun terraces which are ideal for sunbathing and an 'alfresco dinner' at the end of the day. A BBQ is available. The outdoor furniture consists of a table with chairs, a parasol and sun loungers. 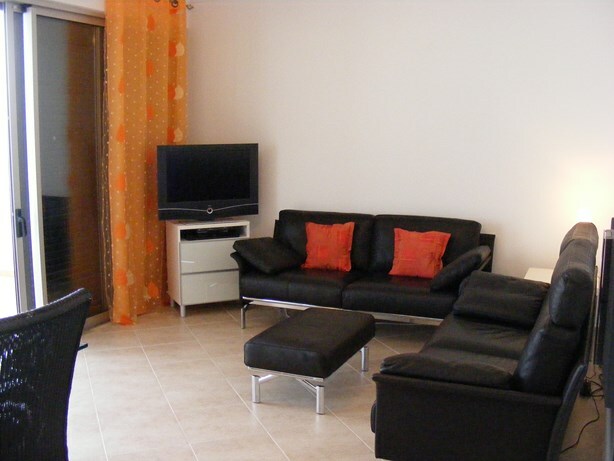 It offers an ideal place to relax and enjoy the laidback lifestyle of Tavira. The apartment has a garage, but this is not included in the letting. There is ample free parking in front of the apartment. 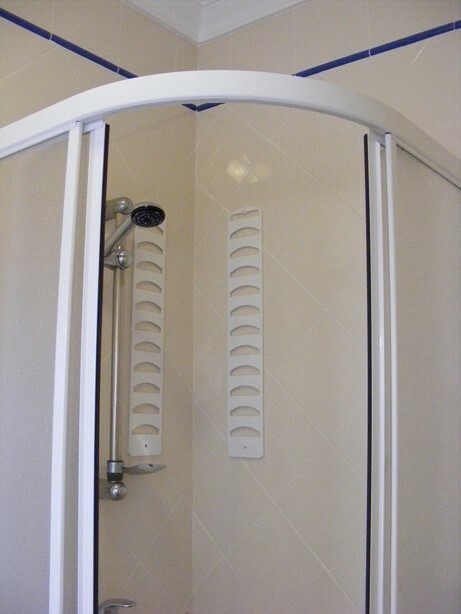 Access to the apartment by elevator or staircase. The apartment has a Wi-Fi private hotspot, free of charge. Distances: Faro: 30 km; Boat ferry to beach: 1 km; Beach: 3 km; Nearest Cafe: 100 mtr; Nearest restaurant: 400 mtr; Supermarket: 600 mtr; Train station: 500 mtr; Golf : 3,5 km; Spain: 28 km. Price is per month excluding utilities. Minimum stay two months. Bed linen and towels (excluding pool & beach towels) included. Sorry, no smoking and no pets. Car not essential. Final cleaning included.